What are the herbal remedies for diabetes? How far they can help in lowering your blood sugar? What is the scientific evidence for their help in diabetes treatment? It is also know with the scientific name of Capsicum frutescens and its main ingredient is capsaicin. According to a study carried out in Thailand, Its flavor was responsible for the decrease of plasma glucose levels and maintenance of insulin levels. What is more, if used as a balm or cream, clinical trials have shown the effectiveness of cayenne pepper in reducing pain and other neuropathy sensations which are commonly associated with diabetics. 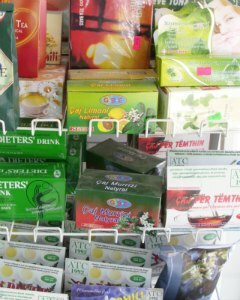 The component which makes green tea so special is called catechin. Researchers in Kao Corporation, Tokyo has carried out one double-blind controlled study involving two groups of type 2 diabetics. The first group diabetics ingested green tea containing either 582.8 mg of catechins (catechin group; n = 23) or 96.3 mg of catechins (control group; n = 20) per day for 12 weeks. At week 12, a decreased waist circumference was shown significantly greater in the catechin group than in the control one. In patients treated with insulinotropic agents, insulin resulted to reaise significantly at week 12 in the catechin group compared to control group. Also in these patients was shown a decrease in hemoglobin (A1C) at week 12 greater than in control group. The final conclusion of this study was the importance of green tea as a catechin-rich beverage in preventing obesity, recovery insulin secretory ability and maintaining low A1C levels in type 2 diabetics who do not yet require insulin therapy. What is more, the intake of vanadium complexes (20 mg daily) for 28 days in volunteers subjects, has shown no adverse effects in one study carried out by Canadian researchers. I am pretty sure that you know vitamin C, especially for its antioxidative effects. Vitamin C is very important to diabetics, whatever the type they might be. If you have diabetes, the major factor for cardiovascular complications is hyperglycemia-induced oxidative stress. In a study carried out in Instabul, researchers have studied the effectiveness of polyphenol-rich antioxidants supplement containing pomegranate extract, green tea extract and ascorbic acid on oxidative stress in type 2 diabetic p atients. As you may probably see from the above scientific data, most of herbs are beneficial in lowering blood sugar and in controlling diabetes. If taken with your meals (including the foods and plants rich in the above-mentioned herbs), you can be safe. While the pharmaceutical machinery has moved forward, there are many supplements with the extract of the above-mentioned herbs, which you can also use as diabetic herbal remedies. Pharmacokinetic and the effect of capsaicin in Capsicum frutescens on decreasing plasma glucose level.J Med Assoc Thai. 2009 Jan;92(1):108-13. Dietary red chilli (Capsicum frutescens L.) is insulinotropic rather than hypoglycemic in type 2 diabetes model of rats. Phytother Res. 2008 Aug;22(8):1025-9. Modulatory effects of black v. green tea aqueous extract on hyperglycaemia, hyperlipidaemia and liver dysfunction in diabetic and obese rat models. Br J Nutr. 2009 Oct 13:1-9. Arylalkylamine vanadium salts as new anti-diabetic compounds.J Inorg Biochem. 2009 Apr;103(4):559-66. Epub 2009 Jan 27. Vanadium treatment of type 2 diabetes: a view to the future. J Inorg Biochem. 2009 Apr;103(4):554-8. Epub 2008 Dec 24. The effects of polyphenol containing antioxidants on oxidative stress and lipid peroxidation in type 2 diabetes mellitus without complications. J Endocrinol Invest. 2009 Oct 15.